The Huibregtsen Prize 2016 has been awarded to Ronald Hanson for his pioneering work on 'safe surfing on the quantum internet'. State Secretary Sander Dekker announced the winner during the annual Avond van Wetenschap en Maatschappij (Science and Society evening). 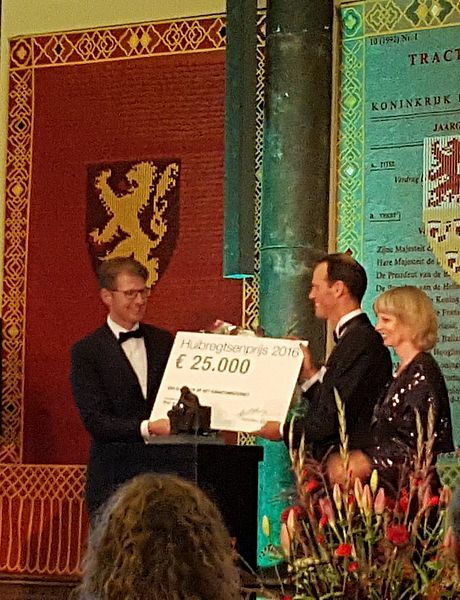 The prize, consisting of €25,000.- and a bronze sculpture of 'The Thinker', is awarded each year for research that is not only scientifically extremely relevant and innovative, but that at the same time can also have a huge impact on our society in general.